I picked up this 2012 City set from the local Toys R Us just last night while looking for new releases. It's been on the shelves there for a long time, trying to get me to pick it up, and I finally relented. My wife built it quickly, so here's the review! 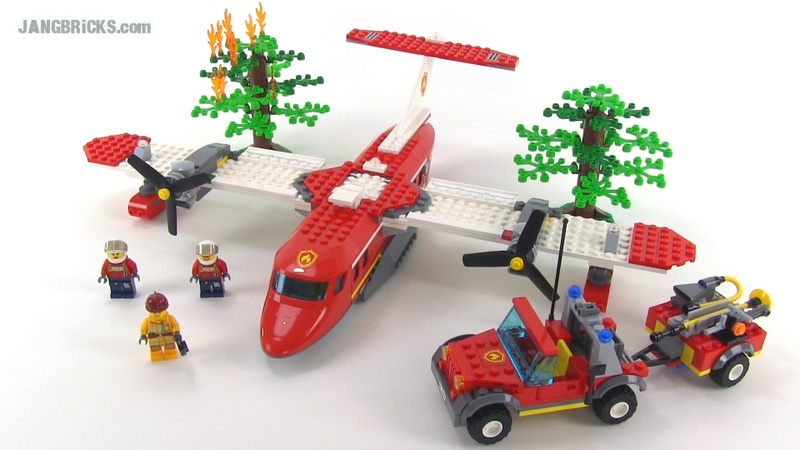 Control the forest fire with the Fire Plane! Keep the forest fire under control! Drop the water from the Fire Plane over the trees, deploy the rugged off-road fire truck with trailer and make sure this fire doesn’t spread out of control! Drop the LEGO water bricks on the fire! Connect the hose to the Fire Plane! PLEASE NOTE: This is not meant for use with actual water.